Many of our customers have specific questions about our professional maid services. Here are just a few of the frequently asked questions we hear at Carolina Pro Clean. Do you guarantee all spots and stains will come clean? We cannot guarantee that we will remove all carpet spots or stains. There are substances that can permanently discolor the carpet fibers. The age of the carpet and the type of carpet fibers also plays a factor in this. However our normal cleaning process will remove most all stains and soil from your carpet. The stains that are not normally removed with this procedure and need more attention are water stains, red and dye stains, inks, coffee and urine stains. The technician will try to determine if this is the case prior to cleaning but they are not always able to determine this before trying to remove the spots. Do you move furniture when you clean the carpets? Yes. There is a charge to move furniture depending on variety and quantity. We normally will move small items and clean underneath them. After the cleaning is completed, we will return it to its rightful place on protective padding as needed. We do suggest you remove items off of your furniture like electronics, plants, lamps and knick-knacks. We will move most furniture that can be safely moved. There are several items we do not move unless requested by customer, including: pianos, electronics, china cabinets, beds, dressers with mirrors, pool tables, etc. Moving furniture will cause the price to increase depending on quantity and size. Do I need to vacuum my carpets before my carpet cleaning? We request that you vacuum the carpet, but it is not required. The technician can vacuum if needed. We have 2 types of methods one being superior to the other. 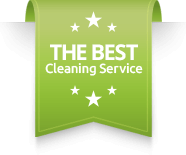 The most commonly used method is our hot water extraction method or commonly known as the steam cleaning. This method uses commercial grade equipment to heat water up to 200 degrees allowing for a deep sanitized clean. This hot water paired with our safe cleaning agents fights even the toughest of stains. Once this mixture is applied in your carpet our professional cleaning system creates a powerful suction to extract deep-down dirt, allergens, cleaning solution and 95% of the moisture. It’s the cleaning method most recommended by carpet manufacturers. The second type of method we can use is a low moisture method. This is performed with a orbital surface cleaner and solution agent. A low moisture clean is recommended for in between water extractions or when you need a quick clean as this will dry in less time than the extraction method. Also low moisture is normally priced less, so if you have budget concerns this may work for you. Why does your cost vary from other companies? When comparing carpet cleaning prices, make sure you ask a lot of questions to ensure that the company or person you are hiring is knowledgeable in this area. Please keep a few things in mind. With Carolina Pro Clean there are no hidden fees or additional charges. Our company takes pride in our work and offers satisfactory services backed by a 10-day satisfactory guarantee. There is a trained lead technician on every job and their sole purpose is to provide professional carpet care tailored to fit your specific needs. This is what allows us to stand behind all of our work. We guarantee that our services will exceed or surpass your expectations. I got my carpets cleaned and the same spots are coming back? Although the majority of spots that are removed from the carpet by water extraction do not reappear, some substances in carpet backing may wick to the surface after cleaning. If this happens, please contact us at info@carolinaprocleanobx.com as soon as possible. How can you guarantee your carpet cleaning services? We are happy to work with you to correct any situation that may arise. In some cases this can mean spot cleaning specific areas of concern or even completely re-cleaning the area in question. In the end, we’re not satisfied until you are. Please use our contact form if you have any concerns. Dry time is affected by humidity, temperature and air flow to the area. It can take anywhere between 2-4 hours for the carpet to completely dry, depending on the mentioned variables. Our technicians will go over areas twice to completely extract most of the water in carpet and aid in the drying time. Using fans and turning your air conditioning or heating system on, depending on the time of year, can help to accelerate drying time. Be sure to leave the protective blocks under furniture legs and any paper used with upholstered items in place until the carpet and/or furniture is completely dry to avoid any color transfer. You may walk on your carpet immediately after cleaning, but avoid wearing street shoes, as they may re-soil your carpet. We suggest wearing clean rubber soled shoes. Be especially careful when walking from damp, carpeted areas on to non-carpeted areas to avoid slipping. This depends on the type of fabric the upholstery is made out of, but more than likely we will use our powerful hot water extraction cleaning process whenever possible, because it provides the deepest cleaning of all the possible methods. Some fabrics may require a more delicate cleaning system. In this case, we will help you make a decision that best suits your needs and get your furniture back in shape for you and your guests. Your specific upholstery fabric will determine which cleaning method we use. While the cleaning method along with optional protector application determines the drying time, typical dry time ranges from 3-8 hours. We also aid this by turning on fans and can even leave fans until completely dry if needed. How often do manufactures recommend I clean my upholstery? Manufactures recommend that you should have your upholstered furniture clean every 12-24 month depending on how often it is used. If your home is a vacation rental the furniture may need more attention and can be cleaned even twice a year, normally at beginning and halfway through the rental season. How will you clean my tile and grout? We scrub each individual grout line as well as tiles with tile and grout specific cleaners. We clean using high pressure and steam that hooks up to our truck-mounted unit that will extract the dirt and grime embedded in the grout lines. We also offer tile and grout sealing that will keep your tile clean for longer periods of time. Why should I have my grout lines resealed after cleaning? Grout is porous and when we use our high-pressured cleaning system it will strip the old sealer so that it can get deep down to extract any possible stains. Because grout’s porous qualities it absorbs soil and spills, just like carpet. Having a sealant applied will help create a protective barrier, giving you more time to clean up dirt and liquid spills before they soak into the grout. The type of sealant you choose will determine the degree of stain resistance and longevity. How often should I get my tile and grout cleaned? Just like carpet cleaning manufactures recommend every 6-12 months. This all depends on multiple key factors such as how much traffic the tiled area receives and if you have pets or children in the home. These are things to consider when concluding how often you should get your tile and grout professional cleaned. Why should I get my tile and grout professionally cleaned? Just like carpet, dirt builds up over time dulling your tile’s appearance and discoloring your grout. If the tile is in a kitchen or high traffic area it will slowly build up with soil and or grease that can cause your tile to look unsightly. A thorough, professional tile and grout cleaning is the only way to remove the deep-down dirt.